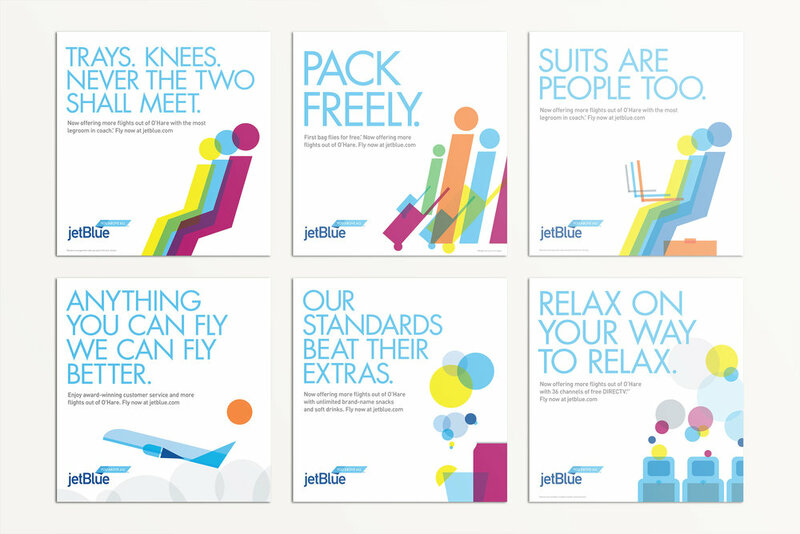 With the most legroom in coach, free in-flight movies, unlimited snacks and softdrinks, award-winning customer service, and a free checked bag to boot, this campaign is about recognizing that JetBlue puts their passengers above all else. The look is coined Swedeco (Swedish Art Deco). The crisp design and smart headlines deliver on a brand that is fun and friendly. With direct flights from New York to Saint Lucia, going from the big city to paradise is as easy as turning the page. Colorful art and clever headlines bring some fun and interest to the daily commute. 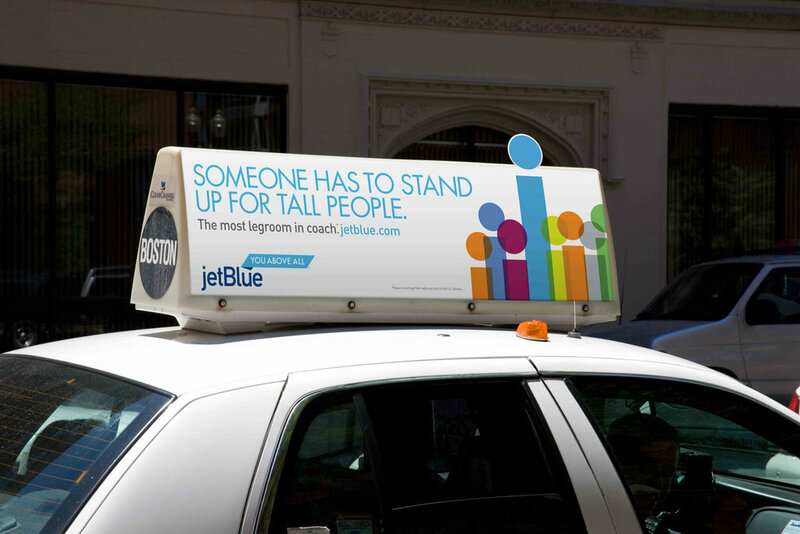 This simple placement proved to be a creative opportunity to highlight the many benefits of flying JetBlue. With nonstop flights in and out of D.C., this full-page ad proves politics can be playful.